The Little Rat chillin’ at Second Gear for some winter tune-ups. A few weeks ago, I wrote about owning a vintage motorcycle, and it made me realize how important it is to have a good motorcycle mechanic. Not just any mechanic, but a truly great mechanic: one who will do quality work, who would never dream of taking advantage of you, and who will work alongside you on whatever issues your bike might throw your way. 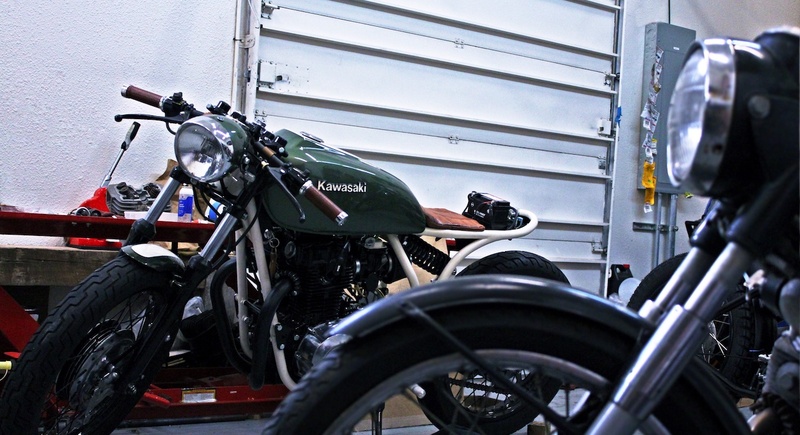 Finding that kind of mechanic can be daunting — especially if you’re new to motorcycles. I mean, it’s easy enough to google “motorcycle mechanic (your city)” and find dozens of shops, or get a reference from a friend. But when you’re standing in a shop for the first time, how can you tell if that mechanic is worth your time? To be clear, this article doesn’t apply if you need help with your 2010 Sportster or 2014 Scrambler. If you have a new bike (post-2000s, generally), it’s safest to go to a branded shop — especially if it’s still under warranty. If you have a vintage or obscure bike, though, or one that’s a bit of both, that’s a different story. 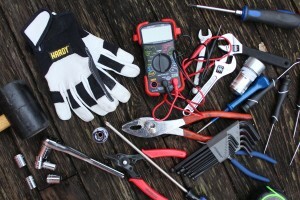 Branded shops may or may not have the tools and experience you need. So, just like with an independent shop, you’ll have to use your best judgement. But, what is best judgement when it comes to motorcycle mechanics? I wish I could tell you from experience, but I’ve had dodgy experiences with both car and bike mechanics before. I feel lucky to have stumbled upon the awesome mechanics that I know now. So, to get an expert opinion on the matter, I reached out to some of the great mechanics I’ve worked with: Sofi Tsingos of GT-Moto, Kevin Ludwig of Dirty Hands Garage, and Joe Tessitore and Jeff Johnson of Second Gear. While talking to these mechanics, I started to see a trend: none of them mentioned specific knowledge or experience. This surprised me at first, but the more I thought about it, the more it made sense. After all, a mechanic can have years and years of experience and still screw you over. Knowledge and experience, although it’s important, isn’t exactly the question here. This definitely aligns with my experience. Some of the best mechanics I’ve worked with were open and straightforward, while the ones I regretted made me feel like my questions and concerns were unimportant. After all, if a mechanic knows what they’re doing, they shouldn’t feel the need to hide their work, or be dismissive of your concerns. But, more than that, taking the time to answer your questions can help you tell whether a mechanic sees you as just another carb rebuild or a potential long-term partnership. For me, this has been the number one indicator of a quality mechanic. If you have a vintage motorcycle, chances are it’s got a lot of history and baggage that might influence what’s wrong, and a good mechanic should recognize that. It also shows that a mechanic is willing to listen to you, which is going to be important if you want to take your bike to that mechanic for years to come. This is great advice for a couple of reasons. For one, if a shop has dozens of unfinished projects laying around, do you really want your bike to become one of them? But also, it helps you gauge a mechanic’s attention to detail. Attention to detail is extremely important when working on bikes, because — as Sofi points out — mechanical failure on a motorcycle can be deadly. And finally, but perhaps most importantly, a good mechanic should treat you with respect. “If [a mechanic] can’t be bothered with you, or talks down to you, walk away,” said Kevin. I haven’t been part of the motorcycle community for long, but it’s obvious that at some point it became commonplace for motorcycle mechanics to treat their customers dismissively. I avoid that frame of mind like the plague. Who wants to work with a mechanic who sees you as a second-rate customer? Who wants to even spend time with people who need you to prove you belong there? I don’t know about you, but that’s the kind of relationship I’d like to have with my mechanic. But, of course, a relationship goes both ways. As a customer, I’ve found myself wondering what the protocol is, whether I was bugging my mechanic too much, or if I was treating my mechanic in a way that was conducive to building a long-term partnership. So, let’s call this post part one of two. In the next post, we’ll get inside the heads of these mechanics, and find out what it means to be a good customer. That way, once you find that great mechanic, you can be sure to keep them around. In the meantime, I’d love to hear your stories of working with mechanics. Do you have any “tells” you use to figure out whether a mechanic is worth your time? Do you have any juicy horror stories? I’d love to hear them in the comments! Once you find that great mechanic, here’s the etiquette you need to know to always be a welcome presence in their shop. Along that note, I also love that you’re going to take us into the mind of the mechanic in the next edition. Understanding also fosters respect. Write On & Ride On, because You’re Right On! One thing I learned is you can’t always trust website comments or reviews. A bike mechanic in my area has endless gushing comments about how knowledgeable and courteous he is. After talking to him it was obvious the knowledge and experience was there, Courtesy ? lol I saw the opposite. In a 15 minute conversation I didn’t get ONE complete sentence or question in without him talking over me and interrupting. His only concern seemed to be impressing me with his knowledge instead of listening. He is a mobile mechanic and allows and encourages you to watch him work which I would agree IS a really good sign but not willing to listen was enough for me to decline his services. As for local ,I will let a bike sit and or sell it before I let a mechanic I don’t know or trust touch it. I know very few bike or auto mechanics I trust. I do most work myself because of this. While it’s definitely true that you can’t always trust reviews, having reviews is better than nothing! But yeah, if a mechanic can’t listen to you… After doing this post, I decided that listening is actually one of my top signals for a good mechanic: if they can’t listen to me prattle on about my bike’s history for at least five minutes, will they really care enough to do the work right? Uhhhm wow. That’s pretty blatant!! I hope the other mechanic is a better fit… or that you don’t need much more work than what you can do yourself!